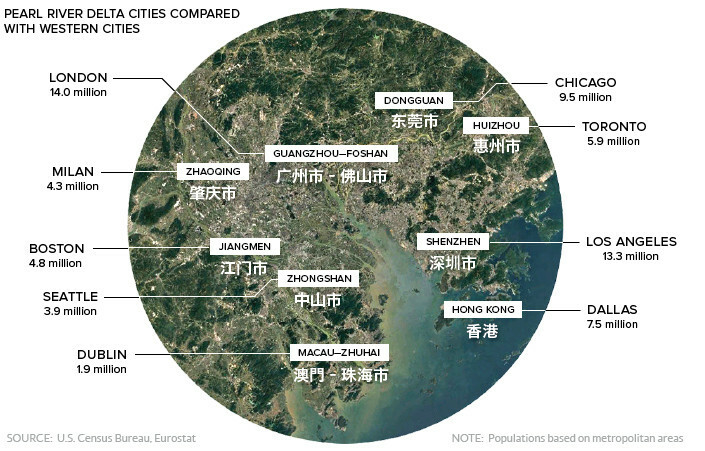 Shenzhen was home to just 30,000 people in the late 1970s. In the late 1970s, the fertile river delta to the north of Hong Kong’s territory was primarily agricultural land. Shenzhen was an unassuming town of 30,000 people – with only one functioning taxi – and China was still very much a communist, rural country. 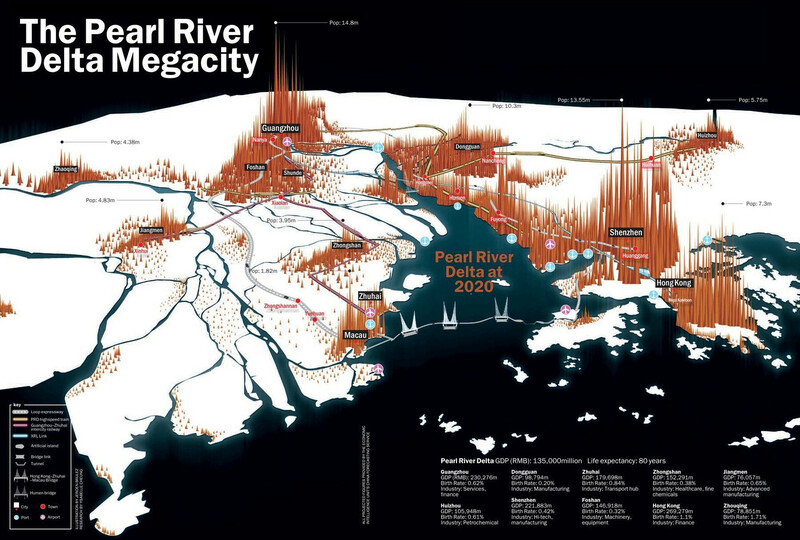 As the visualization above, by Time Out Hong Kong, demonstrates, the sleepy Pearl River Delta was on the cusp of an unprecedented growth spurt that would see cities expand and merge to become the largest contiguous urban region in the world. In 1979, the Chinese government – led by Deng Xiaoping – created four Special Economic Zones (SEZ) with the intention of attracting foreign direct investment and encouraging private enterprise. 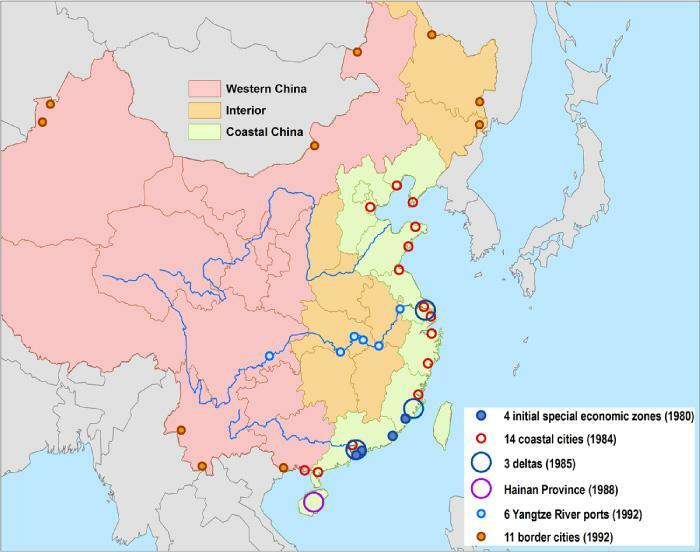 The designation of Shenzhen and Zhuhai as SEZs was a strategic move to act as an “overflow” for businesses in Hong Kong, and the impact on the Pearl River Delta was profound and immediate. A number of factors also helped contribute to the meteoric rise of the region: proximity to Hong Kong’s financial sector, a world-class seaport, a huge and inexpensive labor pool, cheap and abundant land, and few regulatory impediments to rapidly growing companies. In the two decades after Deng Xiaoping’s market reforms, the GDP of the region grow by more than 10x and urbanization – bolstered by large-scale infrastructure projects – began in earnest. Today, this compact region has a GDP equivalent to that of South Korea. The explosive growth the Pearl River Delta has upended the regional balance of power. At the close of the 20th century, Hong Kong was the undisputed economic powerhouse of the region. In fact, just prior to the handover from the United Kingdom to China, the city’s economic output was equal to a quarter of China’s entire GDP. Today, the situation is markedly different. Hong Kong is no longer a separate entity, and its GDP represents a mere 3% of China’s. This shift in the regional dynamic is causing trepidation in Hong Kong, where over 90% of the millennial population identifies as “Hong Konger” as opposed to “Chinese”. Although the government has agreed in spirit to maintain the city’s autonomy until 2047, recent actions suggest an eagerness to integrate the entire region into a seamless megacity. The blurring of the lines appears to be well underway, as more than half a million people from the city now reside in Mainland China, up from approximately 150,000 a decade ago. One physical manifestation of Mainland China’s push for an integrated region is the Hong Kong–Zhuhai–Macau Bridge. This colossal infrastructure project is a 31 mile (50 km) connection that includes bridges, tunnels, and three man-made islands. In China, where each project is more ambitious than the next, it’s only fitting that the world’s largest urban area will be connected by the world’s largest sea crossing.